Morgan Le Fae’s Trinkets offers several different diary styles, both as digital download and as printed and bound inserts. To make the process of choosing a diary to fit your needs and style I will try and explain how I have set it all up for you. All Printable Diaries in the Etsy shop are color coded. The color coding refers to the style of the diary. There are several different styles for diaries, with different color options for some of the printed versions. Printable MOTP-WOTP: MOTP-WOTP combination, with the monthly view before the weekly view with the first Thursday of the new month. Other set-up for your monthly and weekly planners are possible, just let me know and we can work something out. The printed versions all come in white, ivory or pink paper. Other paper colors are possible, but are a custom request. Classic: Traditional diary style, very classy and to the point. Lots of room for appointments and some extra weekly notes. This style is available as a free-bee from the free downloads folder you find on the free printable inserts page. The printed version can be ordered through the shop (as are all insert from the free download folder). They are available in a black and brown version, see below (Classic Black, Classic Brown). Vintage: Here Oxblood, other colors are available upon request, see below (Brown-Brown, Brown-Plain, Brown-Grey, Green-Green, Classic Black, Classic Brown, Oxblood-Grey, Navy-Grey, Green-Grey). Decorative diary style with room for both notes and appointments. 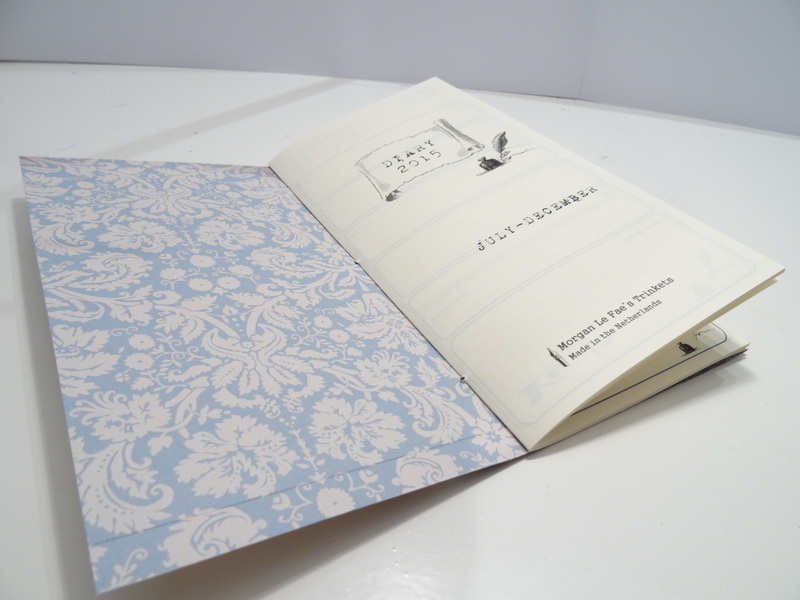 There is a lay-out for this diary with the week days to one side and a whole page box to the other side for notes, as a crossover to the modern style diary you see below. I have a Personal size Ring-binder/FiloFax version available for 2016 in the Free download folder. Color options include Oxblood, Navy, Green, Purple. Color choice includes: grid, text and boxes in any combination you would like. 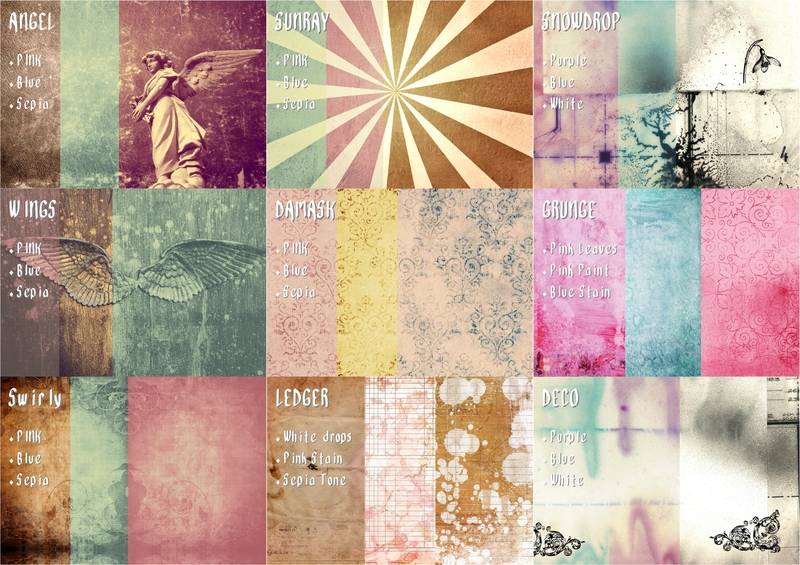 Grunge: Here lilac, other colors are available upon request, see below (Teal, Lilac and Pink). Color choice includes: grid, text and boxes. A fun and play-full style, yet still has lots of room to write and make notes and appointments. 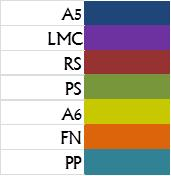 The colors you can choose from are in the example images, however other colors are possible, please let me know if you have a different color combination in mind! Modern: very muted basic diary style, with lots of room to write and make notes. Decorate to your hearts content, or leave it plain and business like. As for covers you can choose from either a custom design cover or a plain card stock one, below are a few color options that are (or have been) available. The design covers will vary from time to time. 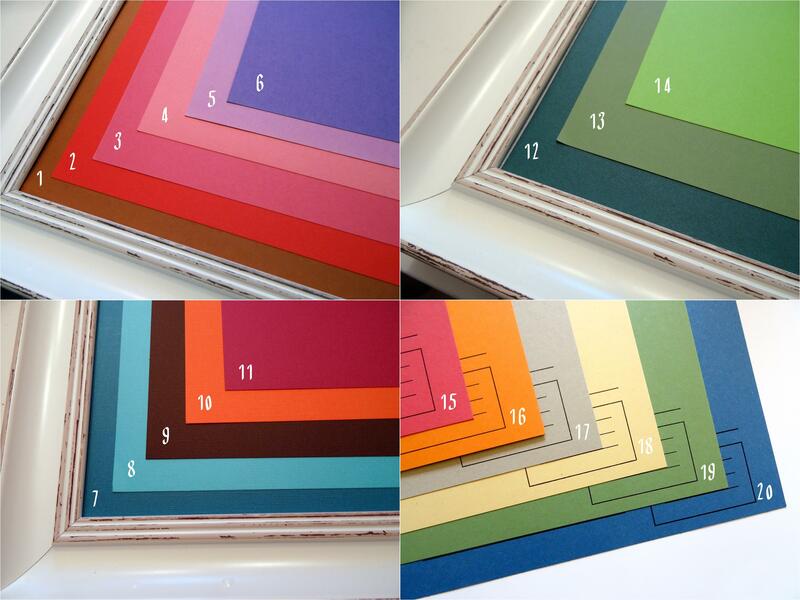 The cardstock colors are named and numbered, to avoid confusion with similar colors. Both also come as folders, with or without pen-loops. There are more lay-out options within each diary style, but Since I intend this page to grow over time with things taking shape, I will add those options at a later date, so be sure to check back every now and again, there may be new information on this page.